"Fans of Naomi Novik's Uprooted, this book is just as compelling. I read it in one day, during a well-timed blizzard. For those who haven't yet had the pleasure of reading Novik's Eastern European fairy-tale-inspired fantasy, I'm so excited for you, and don't worry, this book is a standalone. 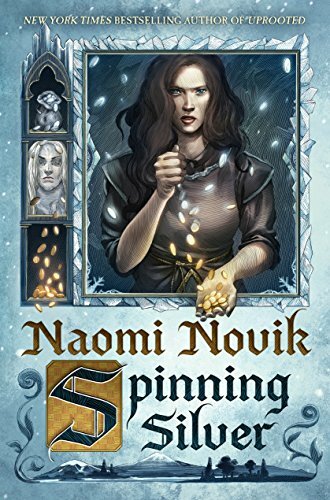 The magic in Spinning Silver reminds me of Jonathan Strange and Mr. Norrell, but our shrewd protagonist Miryem could come from the collection of Yiddish folktales by Isaac Bashevis Singer that I read as a kid." Section New Hardcover - Fiction / Science Fiction / All Staff Suggestions / Fiction Suggestions / Rachel S.